I’ve long felt that birders, as a group, should have a greater appreciation for the book as a physical object – all those years of choosing field guides that have high-quality color prints and will hold up to rough use ought to lead in that direction. Looking at a book like Barn Owl by David Chandler, it’s not hard to feel that appreciation even if you’ve never given the matter much thought before. Slender but formidable like its namesake, this volume is printed on heavy stock well-suited to its lavish illustrations and boasts a dramatic but nevertheless tasteful cover design. This book need not be ashamed to be seen on coffee tables in any home. It’s not just a pretty face, though. In fact, given the packaging, the text is surprisingly heavy on facts and figures. 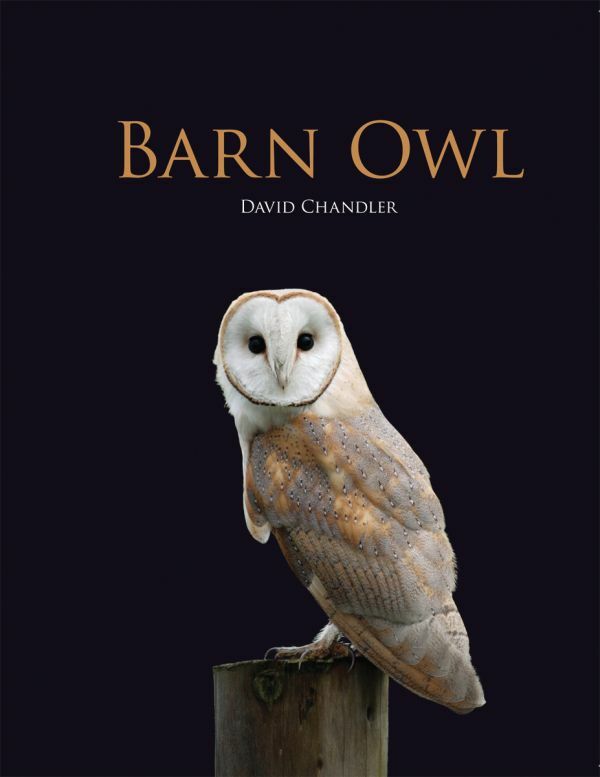 David Chandler seems to have undertaken to describe the Western Barn Owl from the ground up, as it were, and he manages to pull together vast survey on the species – everything from taxonomy to physiology to diet to reproduction to conservation. Along the way he includes many interesting anecdotes as well as bare facts, and addresses such off-beat topics as ship-assisted travel and cannibalism. In fact, so wide does he cast his net that it paradoxically leads to the book’s great weakness: a sometimes-jarring lack of focus on a particular audience. Naturalists of any level of description hardly need to be told that “An area defended by a bird is usually called its territory,” while utter novices are unlikely to sit still for multipage lists of known prey species and charts comparing the sizes of different subspecies. That said, the book’s design helps to save it here, because the format encourages dipping in at random to read a few paragraphs, pick out what seems interesting, and savor the abundant photos by Nigel Blake. In the end, Chandler comes very near his goal of creating “a book for anyone in Europe or North America who wants to know more about the Barn Owl.” And if it looks a bit like a supermodel among your practical Petersons and stolid travel guides, well, couldn’t your joint use a bit of classing up? Giant Bugs Wiped Out By Birds?